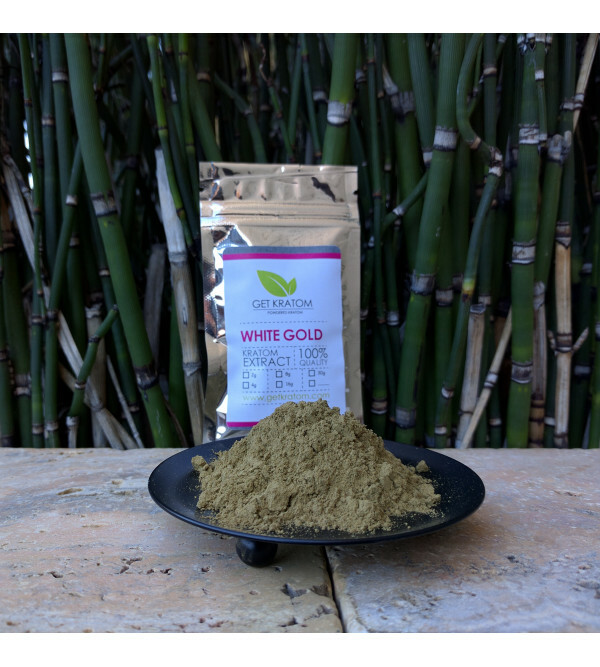 White Gold is a kratom extract reminiscent of the original Ultra Enhanced Indo that disappeared from the market around 2013. It's made by taking high quality destemmed leaf and blending it with a full-spectrum, standardized kratom alkaloidal extract. Contains 2 grams. White Gold is a kratom extract reminiscent of the original Ultra Enhanced Indo (UEI) that disappeared from the market several years ago. It's made by taking high quality destemmed leaf and blending it with a full-spectrum, standardized kratom alkaloidal extract, to give you what might be our best extract yet. It has a long lasting, energizing aroma that is ideal for staying focused while feeling relaxed and enjoyable. White Gold is very strongly active at 0.5 to 1 gram, making it ideal for completing that project you've been putting off or working on your favorite hobby. Contains 2 grams.